Fertilization Programs: Why Fall is The Best Time to Seed - Metro Lawn Care, Inc.
Everything in life is about the proper investment of time, and energy. If you want your savings account to grow, you have to put seed money in there, and leave it alone to bloom. If you want to lose weight six months from now, you must make changes to your diet and exercise regimen today. Or, even better, yesterday. And if you want your yard to be thick, lush, and green next spring, then Fall is the best time to plant that seed for the coming growth season. Seeding your yard in the Fall might seem like an odd choice. After all, with everything dying and Winter on the way, why put down seed at that particular time? Well, it’s about the window of opportunity. While the temperatures are beginning to drop, the ground is still warm and welcoming for seed. The first two weeks in October, in particular, are the best time to get your seed into the ground, and make sure it’s settled in before the real chill arrives. If you can hit that window, then your seed will be ready to bloom thick and lush once the spring thaw arrives. Of course, laying down fresh seed isn’t easy, or fun. It’s a chore, and it requires attention to detail, as well as the time, experience, and proper tools to get the job done. That’s why so many homeowners will seek out a professional service to handle their seed needs instead of doing it themselves. Because, if you want a green carpet come the new year, why wouldn’t you entrust the job to a professional? 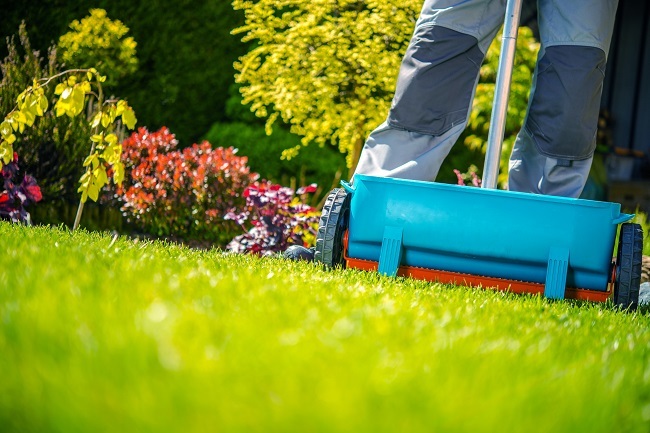 If you’re looking for a professional lawn care service to handle your lawn’s seeding needs, all you have to do is contact us today!